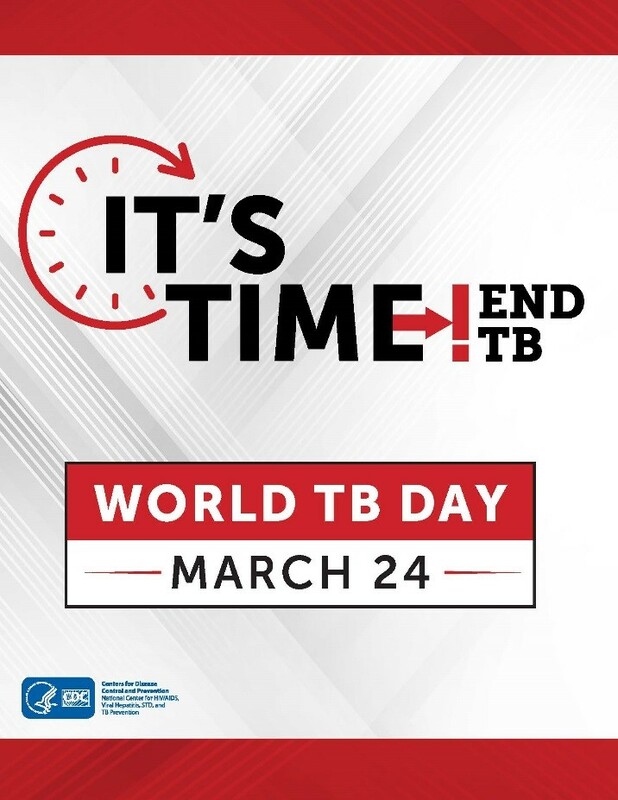 District 2 Public Health Tuberculosis Control Program would like to invite you to celebrate World TB Day 2019 with us on March 22. Up to 13 million people in the United States have latent TB infection, and without treatment, are at risk for developing TB disease. There is a strong need for TB education and outreach to clinicians, health care agencies, and community organizations, especially those serving at-risk populations. World TB Day recognizes the discovery of Mycobacterium tuberculosis by Dr. Robert Koch in 1882. Observance of World TB Day seeks to raise awareness about TB and how to prevent it. 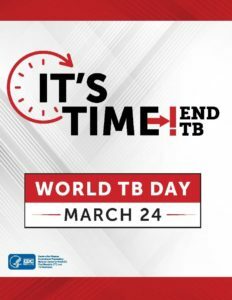 2019 World TB Day – It’s Time! Learn more about TB and our TB Services by clicking HERE.